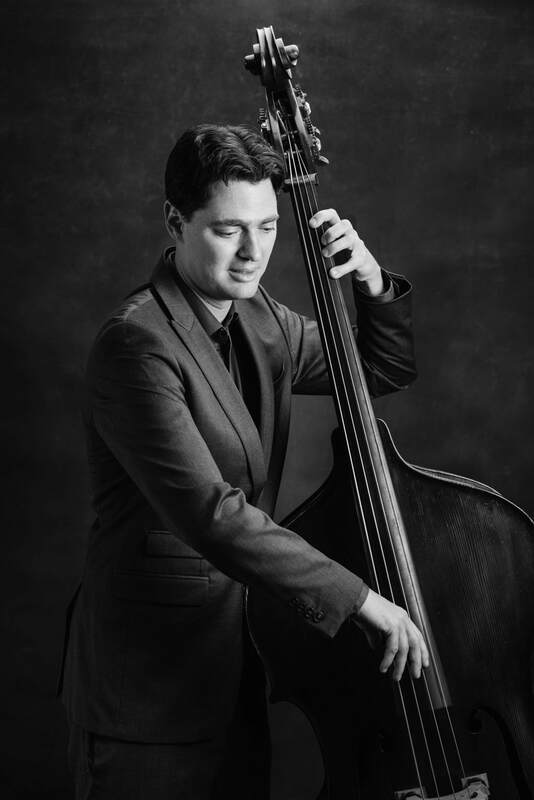 Ollie Dudek is a San Francisco native who started playing the electric and upright bass in his teens after first studying piano and being introduced to Jazz by his father Matthew Dudek, also a bassist. His stylistic influences revolve mainly around the musical genres of Swing,Bebop Blues, Afro Cuban and classical. In regards to musical education Ollie spent much of his time studying music at San Francisco State University and it is at this time where he began to immerse him self into music played at local jazz clubs. Ollie has been Called a "gifted young player" by music editor and reviewer Scott Yanow. His interesting bass lines and rhythmic pulse drives the music forward towards new and exciting heights. Ollie works as a professional musician, playing at local venues, fairs, and festivals throughout the San Francisco Bay Area. In addition to recording on several recordings with Flautist Gerald Becket, Ollie can also be heard on his own album entitled Bay Tones: The Changing Scene with pianist Grant Levin and drummer Omar Aran. In 2017 Ollie traveled to Cuba to study Afro-Cuban music, rhythms and culture. Upon his return he participated a 3 week run of a musical play called "the Cool" focusing on the life and music of Chet Baker. Ollie has Performed at such venues as the Red Poppy, Black Cat, Club Deluxe, Bird and Beckett, Monteray Jazz festival, and at the Dream Force convention. Major musical influences include Charlie Parker, Hank Mobley, Ray Brown, Charlie Haden, Oscar Pettiford, Johann Sebastian Bach, Duke Ellington, Wilbur Ware, Jimmy Blanton, Milt Hinton, Israel Crosby, Grant Green, Scott Lafaro, Paul Chambers, John Coltrane, Thelonious Monk, Benny Golson, Kenny Dorham, Lee Morgan, Elvin Jones, Paul Motian, Billie Holiday and Charles Mingus as well as many more. Available to play music at public/private events. I recently hired Ollie and his jazz trio to play my company's Christmas party. It was my first year organizing the party, so the pressure was really on- and Ollie and his band delivered, big time! They were the perfect accompaniment to the party. They came on time, prepared, and ready to roll. They play beautifully as a group, and were all very polite and fun to talk to. I would hire them again in a minute for a company party, or personal event. "Thanks for providing SUCH great ambiance for our event!! You guys were fabulous. Thank you"
You can listen to Ollie playing the jazz standard "On a Misty night" which is featured on Gerald Beckett's album entitled Standard Flute.